Anna at Noodle-head.com designs some SERIOUSLY cute purses! Can you tell I love her 241 Tote? I’ve made three of them! 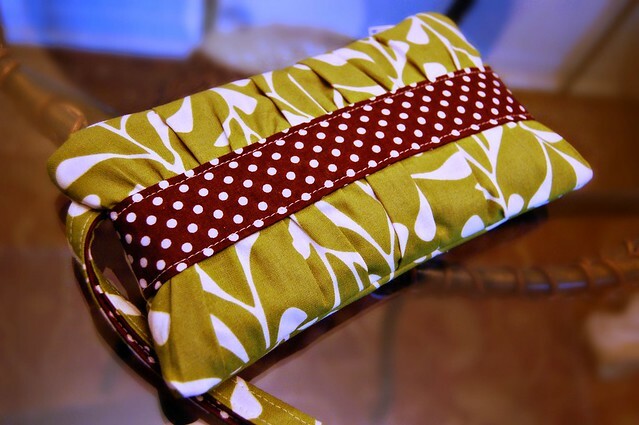 This wristlet was made from her Gathered Clutch tutorial, I just added a little wrist strap. 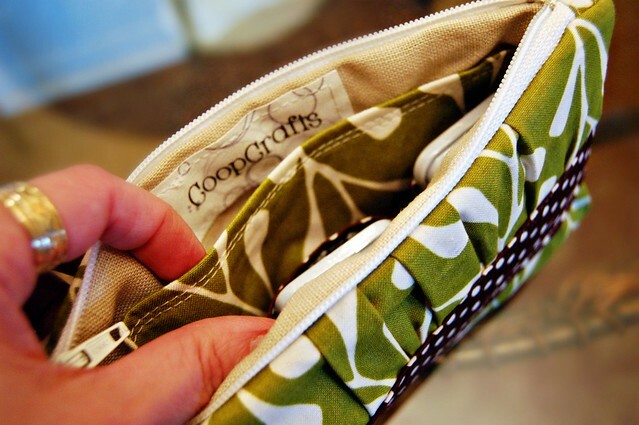 I love the little divider and pockets, and it’s a good, roomy size for a wristlet. This one was a gift for my Mother in law for Mother’s Day. Did you happen to notice that one of the 241 Totes I made was from the same fabric? That was a gift for my sister in law, my Mother in law’s daughter. I hope knowing her new bag coordinates with her daughter’s will make it an even more special Mother’s Day gift. I love, love, love that bag! I have got to get that pattern! Wow, I love the fabrics you’ve used, too. And the wristlet, cute as can be.